Alexander City, Alabama Russell Lands on Lake Martin offers an array of scenic settings to choose from for your big day. From a wedding high above the clouds on heaven hill, to a romantic down-to-earth rustic barn setting (or both!). See all the amazing details here. Girdwood, Alaska Alyeska Resort is located in the beautiful small town of Girdwood, Alaska. Just a short drive from Anchorage, it offers easy access and plenty of indoor/outdoor settings to choose from for your wedding celebration. Oh, and did we mention the amazing views of the Cook Inlet? See all the venue details here. Phoenix, AZ Boojum Tree Hidden Gardens features enchanting gardens and several unique outdoor settings to choose from. Their packages range from elopements to full-service weddings. View all the details and amenities here. Fayetteville, Arkansas Pratt Place Inn and Barn offers a lovely red barn venue that is the definition of versatile. It can be transformed into the wedding of your dreams. Get all the wedding details here. Westbrook, Connecticut Named the number-one wedding destination in Connecticut, Waters Edge Resort has an amazing waterfront setting for your big day. But dont just take our word for it. See all the amazing details here. Long Neck, Delaware Baywood Greens offers a full-service venue and a personalized one-of-kind experience to help plan the best day of your life. With amenities such as exceptional cuisine, imaginative floral arrangements and everything in between, see all the details here. Orlando, Florida Experience the spirit of Tuscany, in Florida! Bella Collina is Orlando's premier wedding destination, and with lots of amenities to choose from, it's the perfect venue for your big day. See what they have to offer here. Photograph by Studio 222 Photography. Newnan, Georgia The historic plantation house of Vinewood Plantation is full of charm and offers many contemporary amenities for your perfect day. If youre looking for a traditional southern charm wedding experience, then check the venue details here. Puakea Ranch, Hawaii If youve dreamed of a Hawaiian wedding, then Puakea Ranch may be perfect for you. Your own quiet Hawaiian retreat is within reach, and they're Eco-friendly. See all the lovely details here. Chicago, Illinois If youre looking for a more unique wedding venue, then the Alder Planetarium has an array of out-of-this-world options for you to consider. From a sky theater that offers a 360-degree experience, to a view of the Chicago skyline from Cafe Galileo. Get all the details here. Lenexa, Kansas If youre looking for a warm laid-back atmosphere then look no further! Dark Horse Distillery has three great event spaces to choose from, you can have the perfect, out of the box reception space for your big day. See it all here. Lancaster, Kentucky Whether youre planning an intimate celebration or one big party, Ashley Inn Bed and Breakfast can accommodate your every need and will help you with planning and scheduling your vendors. What more could you ask for? Check out all the details here. West Paris, Maine The Inn and Pinacle Mountain is located in the Western Hills of Main, it sits on 52 private acres and can accommodate up to 200 people for your big day. They also offer a 3 day wedding package if you wish to stay and play for the weekend. See more details here. Chesapeake Beach, Maryland Get married on the beach! Chesapeake Beach Resort & Spa offers just about everything in terms of entertainment and fun in the sun. From slot machines, to water sports your guests are sure to be entertained before and after the wedding. See more details here. Nahant, Massachusetts Oceanview at Nahant is located right next to the ocean and has some amazing views. If youre looking for something a little more out of the norm, they also offer a clambake wedding option. Just be sure to send us an invite! See more venue details here. Detroit, Michigan Waterview Loft Port Detroit offers stunning views of the water with an urban chic atmosphere. Its centrally located in downtown Detroit for easy access as well. Can accommodate up to 400 guests. See all the amenities here. Brookhaven, Mississippi With multiple facilities to choose from, The Hideaway at Reed's Estate is the perfect backdrop for your rustic wedding. Amenities include wooden benches, horse and carriage and so much more. See it all here. St. Louis, Missouri The adaptable, architectural space at the Boo Cat Club really makes this venue one-of-a-kind, and the purrrfect place to create the wedding of your dreams. Prepare to be floored by the facilities this venue has to offer. See all the venue details here. Whitefish, Montana If youre looking for a more full service venue that includes lodging and activities for your out of town guests, then The Lodge at Whitefish Lake has you covered, rain, snow or shine. With beautiful scenery and a variety of spaces to choose from, it's an unexpected re-treat. See it all here. Omaha, Nebraska The Scoular Ballroom offers space for both weddings and receptions and can accommodate up to 300 guests. If you want to be center stage (literally) for wedding day, then this is the venue for you. Check out all the details here. Las Vegas, Nevada Las Vegas is famous for its abundance of wedding chapels. So we searched for something a little more unique, and found The Platinum Hotel, which offers a roof top wedding venue that is private, and has one incredible view. 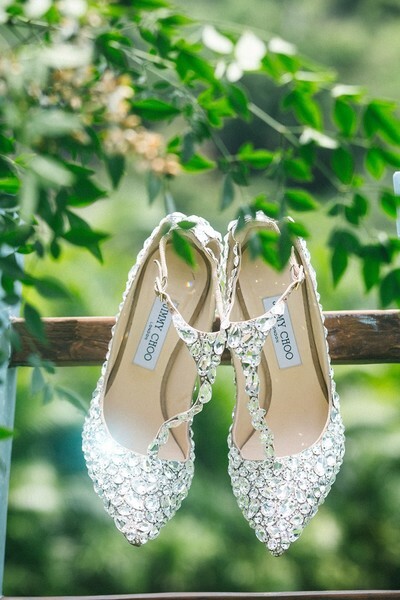 Get all the glitzy details here. New Castle, New Hampshire Located right on the water, Wentworth by the Sea offers several venue options for you to choose from. From an outdoor garden pavilion, to three different ballrooms, youre sure to find the perfect place for your I dos. See all the facilities offered here. Peapack, New Jersey Natirar Estate, once owned by the King of Morocco, is an amazing 500 acre estate at the forefront of luxury and grandeur. With both indoor and outdoor facilities, you will WOW your guests with this venue. Get all the luxurious details here. Albuquerque, New Mexico A former rail yard shop, The Yards is a truly unique venue with a cool industrial vibe. With nearly 22,000 square feet of space to work with, you can accommodate up to 999 people! Imagine the possibilities and get the details here. New York, New York The India house is a 100 year old landmark in downtown NYC. With full service catering and three levels of event space, this venue is sure to impress with its charm and grandeur. Check out the details here. Fargo, North Dakota Avalon Event Center offers several ballroom options depending on the size of your wedding. Amenities include theatrical mood lighting, a private bridal room and so much more. See it all here. Glenmont, Ohio Want to stay in a tree house for your wedding night? 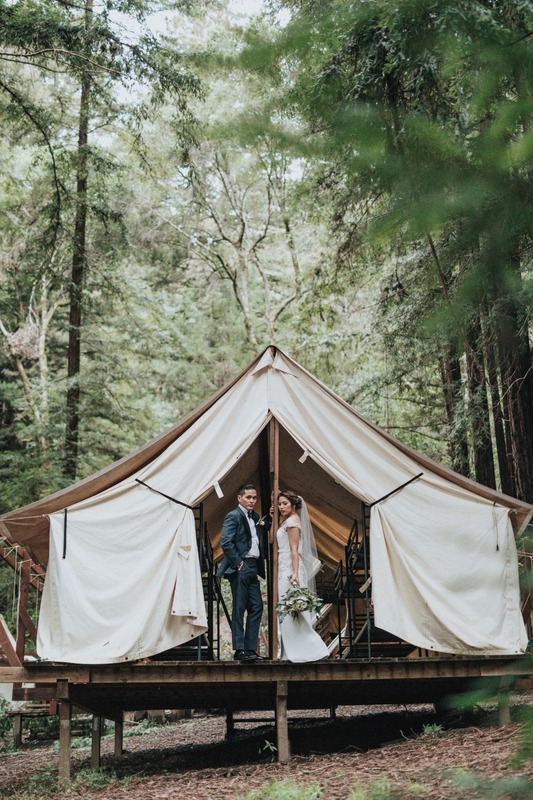 Well, The Mohicans offers tree houses and cabins for rent, along with The Grand Barn event center for your nuptials. Everyone is sure to love it. Get more details here. Edmond, Oklahoma Sweet rustic romance awaits at The Barn at the Woods. With a gorgeous rustic barn and over 15 acres of event space, your dream wedding is within reach. See all the rustic beauty here. Portland, Oregon The Portland Art Museum is a must see! With an in-house production service and catering available, it's one unique space that will push your wedding to extraordinary! Check out their amenities here. Mount Joy, Pennsylvania The Cameron Estate Inn offers all inclusive wedding packages to accommodate either a large wedding or an elopement ceremony. With several sites to choose from this just may be there perfect venue for you. See it all here. Charleston, South Carolina Magnolia Plantation & Gardens offers four different event locations to choose from, each with its own history and southern charm. Its prized as one of the most famous plantations in the south. See all the beauty here. Lead, South Dakota Want a weekend wedding celebration with enough space for family and friends? Well, Terry Peak Challets offers wedding weekend rentals - 4 chalets and a gorgeous pavilion for you and your guests to enjoy. Now thats a great way to celebrate! Get all the info here. Corinth, Texas Ashton Gardens is a unique venue that offers a glass enclosed chapel for your ceremony and two lovely ballroom options to choose from for your reception. Located within a private forest, its a true fairy tale setting. See it all here. Martinsburg, West Virginia Boydville Inn is a lovely historic mansion that is the perfect setting for your upcoming nuptials. It's full of history and charm that you and your guests will love. See all the amazing details they have to offer here. Cadott, Wisconsin 100 acres of rolling country side await you at Dixons Apple Ochard. With several unique settings to choose from and full service rental options, they can help you create the wedding of your dreams. See all the breathtaking beauty here. Moran, Wyoming With the Grand Tetons as your photo backdrop, your wedding at Jackson Lake Lodge is sure to be the best day of your life. Don't miss this view! See all the amazing options available here.